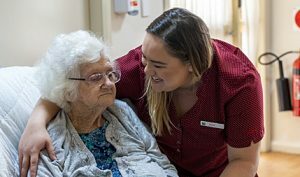 Prunus Lodge is a 28-bed Residential Aged Care facility offering around the clock residential care provided by trained personal care staff and registered nurses. offering this highly specialised care in a safe and familiar haven. Prunus Lodge recently under went extensive renovations in collaboration with an interior designer and features the very best of internal fit outs. 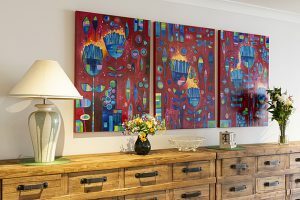 The designer has also been instrumental in selecting drapery, floor coverings, furniture and artwork which have been complimented on by residents and their families. Residents of Prunus Lodge enjoy private and spacious rooms and ensuites, overlooking landscaped gardens. The rooms are furnished with king single beds, designer linen, bedroom furniture and televisions. The residents of Prunus Lodge also enjoy many wide and varied social activities which are designed and implemented by our on-site Recreational Officer. There are bus trips around the district with our dedicated volunteers, as well as visiting choirs who provide wonderful afternoons of entertainment. Refundable Accommodation Deposit (RAD): – this is commonly referred to as the “bond” and is determined by Centrelink and based on the assessment of your income and assets. The full RAD for Prunus Lodge is $250,000. Prunus Lodge is part of the Central West Region of the United Protestant Association of New South Wales.